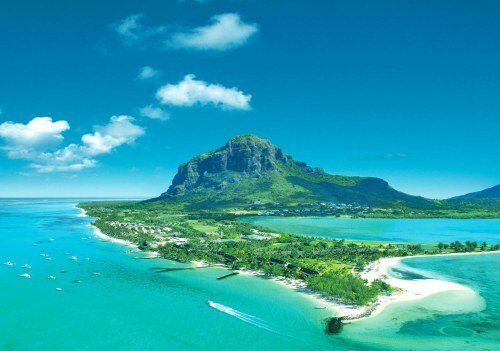 Air France has dropped the price of some of their flights from Vancouver to Mauritius and Madagascar down to $818 CAD roundtrip including taxes. 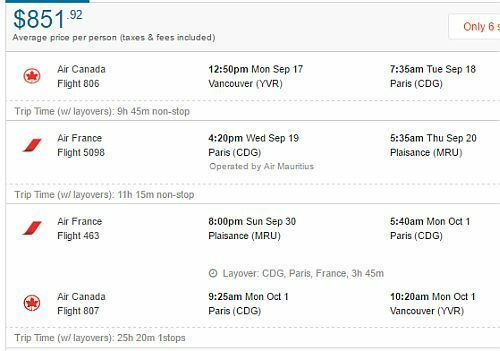 Vancouver - Mauritius: The flights have 1 stop each way, in Paris, France (9 hours on the way there, 4 hours on the way home). 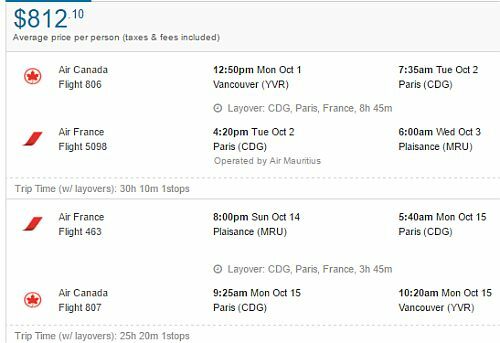 Vancouver - Madagascar: The flights have 1 stop each way, in Paris, France (3 hours on the way there, 22 hours on the way home). This is a *very* unusual price, as it's always quite expensive to fly to Mauritius. If you're wondering where Mauritius might be, well, it's a *long* ways from Vancouver. It's a 17,000km journey, to an island off the Eastern side of Africa, that's even 1,000km past Madagascar! 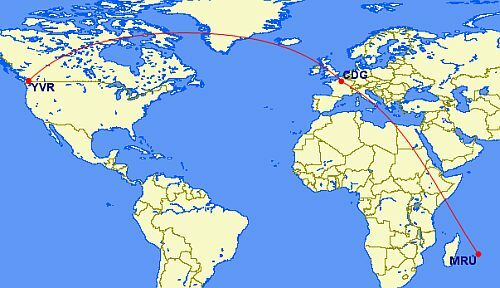 Just for comparison, that's 5,000 km further than it is from Vancouver to Sydney, Australia. 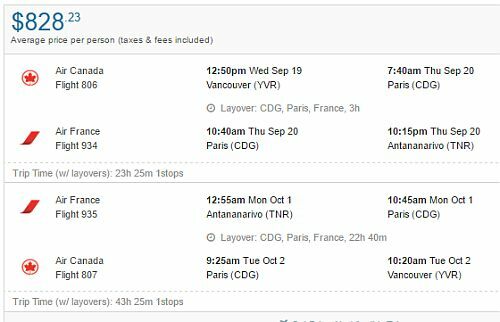 You can also turn these into a 2-in-1 trip, and visit both Paris, France *and* Mauritius (or Madagascar) for $851 CAD roundtrip (see instructions below). Update @ 12 PM PST - I haven't seen any working dates for about 40 minutes. Unfortunately I think this one's over! October is one of the driest months of the year. - with non-stop flights between Vancouver and Paris, and from Paris to Mauritius! - with non-stop flights between Madagascar and Paris, and from Paris to Vancouver! You can also try playing around with the middle date to give yourself more or less time in Madagascar vs Paris. 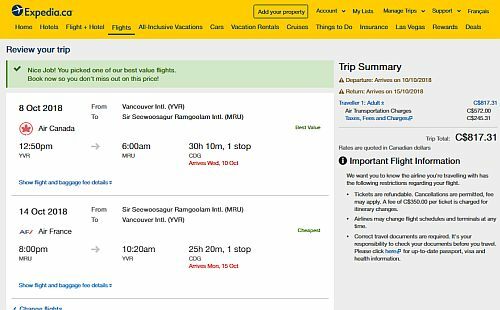 vancouver, yvr, flight deals, africa, eastern africa, air france, plaisance, mauritius, madagascar, antananarivo and tnr. 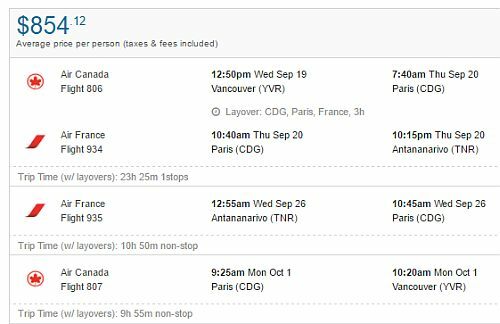 One Response to "Vancouver to Mauritius or Madagascar - $818 CAD roundtrip including taxes | add Paris for $33"